Wow, what a day! 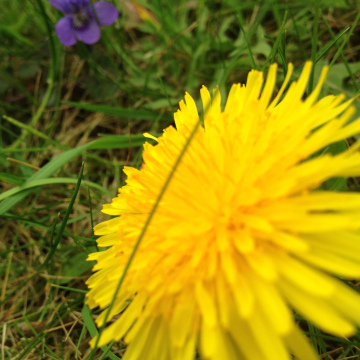 Farnham you truly bloomed! 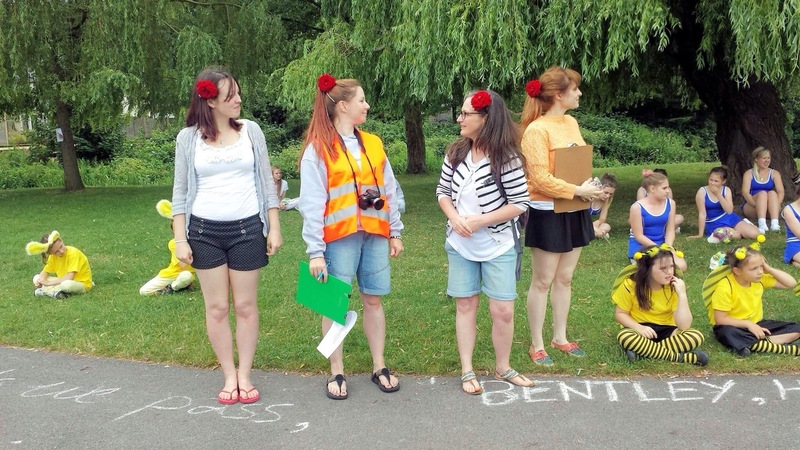 Sunday 5th July was the ‘big day’, where The Dance Movement bought together a company of 150 dancers from Farnham schools and local community groups to rehearse the dance, Farnham Blooming. The background and idea behind the project can be read about by clicking on our blog post. 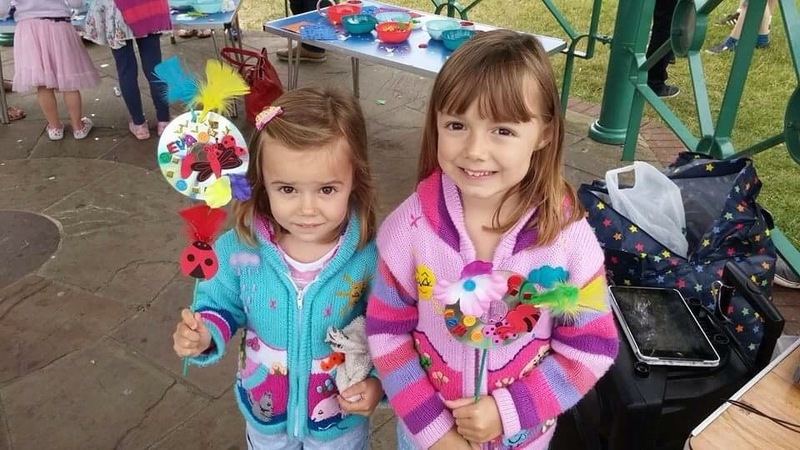 An awful lot of project planning, costume and dance making went into making this day a real success and this post is a really a shout out and thank you to all have been involved so far on this journey. 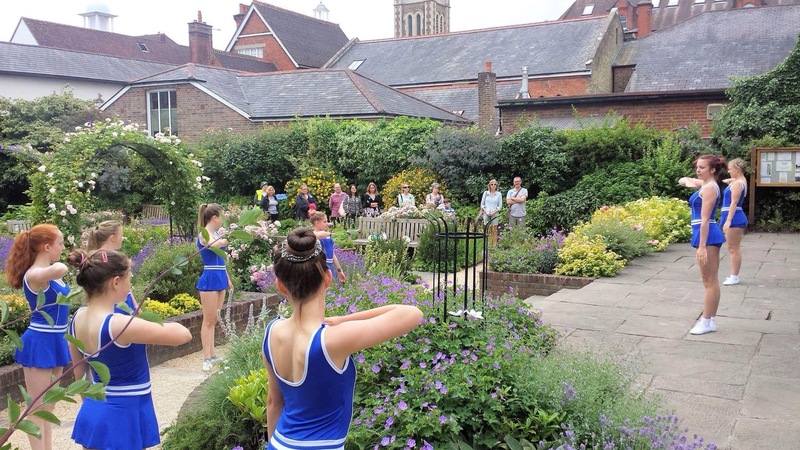 This was the first partnership project The Dance Movement had undertaken with Farnham Town Council on an event of this nature and it has been a truly enjoyable collaboration to help celebrate the 25th year of Farnham in Bloom. A special thank you to Kevin Taitt, Julie Jackson and Lara Prior at Farnham Town Council, the project would have not gone half as smoothly without your support. VICTORIA GARDEN WITH SYNCHRO SWIMMERS AND KILLER BEES! 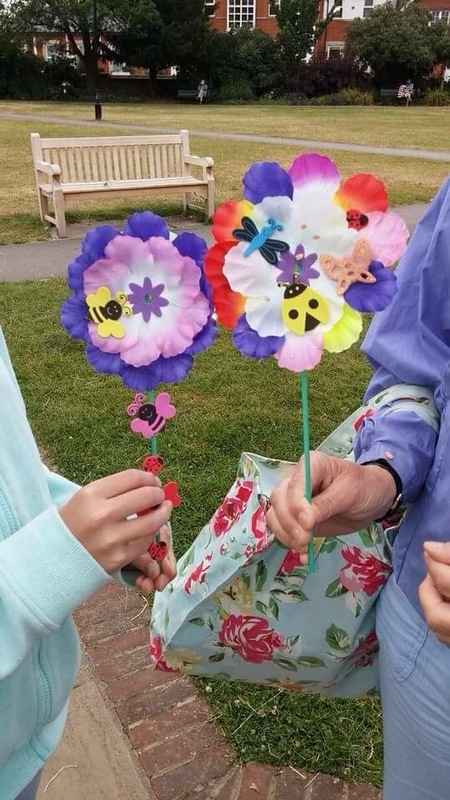 Thank you to the dancing bees from Bentley School, and the synchro swimmers from Adult Contemporary Dance (Farnham Maltings), Farnham Heathend School and Youth Contemporary Dance (Farnham Maltings). 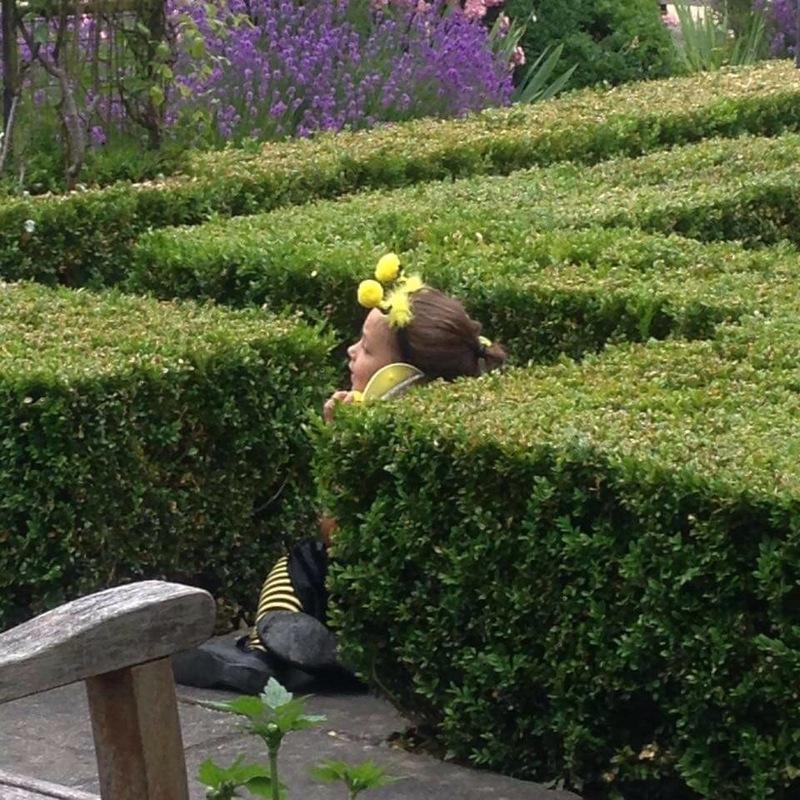 VICTORIA GARDEN, BUMBLE BEES HIDING. 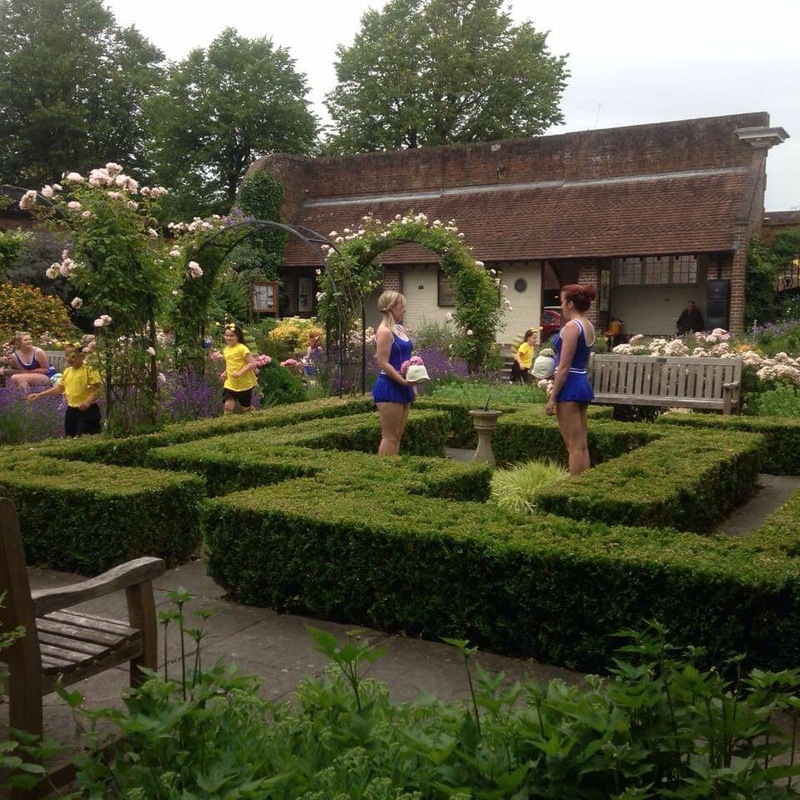 Thanks to Ann Whitlock and her team at the Victoria Garden for generously allowing us to use their glorious garden to dance in, and for opening up the garden for extra synchro swimming rehearsals! The Dance Movement’s community contemporary dance classes for adults and young people joined forces to perform this Synchro-swimming dance for Farnham Blooming. Thank you for working so hard as a team to piece the dance together on the day! From L – R the amazing choreographic team minus Rachel Palmer, who knows where she was! Suzie Jones, Rebecca Edwards, Nicky Norton and Hollie McGill. 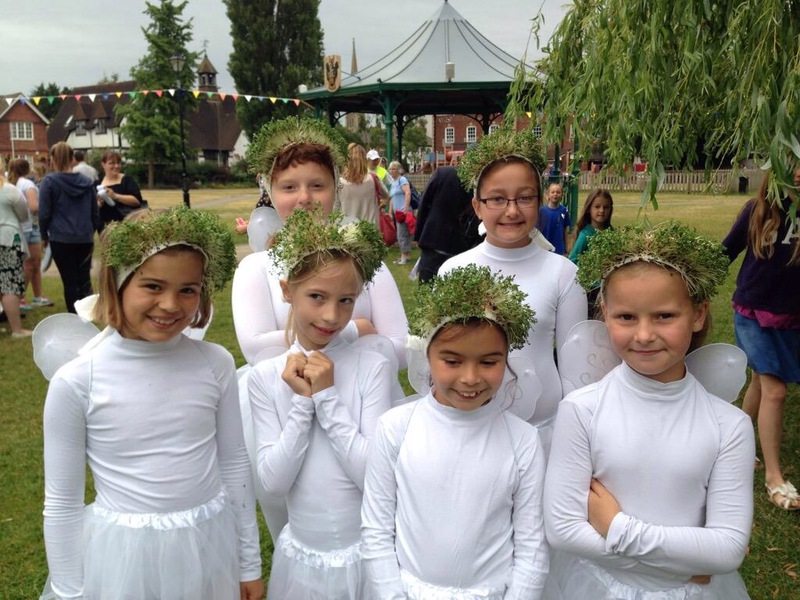 DANCERS FROM POTTERS GATE SCHOOL. 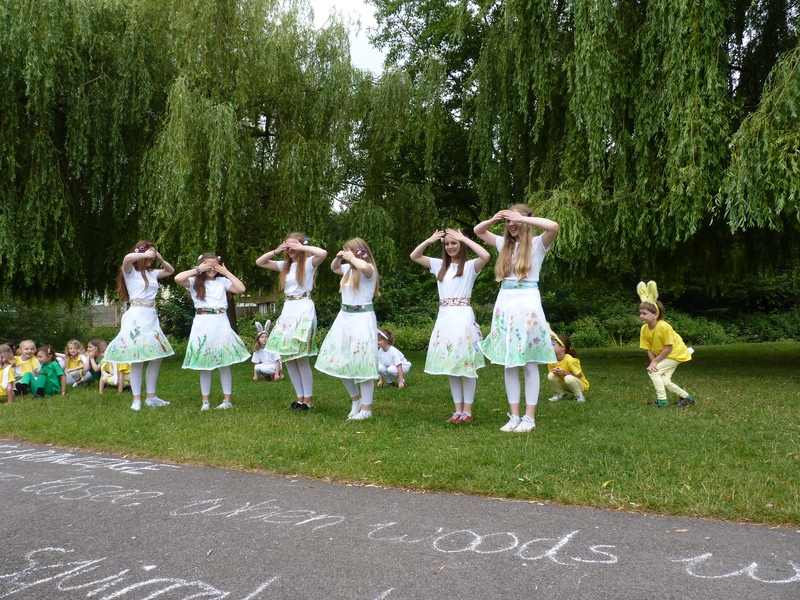 Thank you to Potter Gates Dance Club for coming up with such wonderful dancing ideas and dancing so beautifully around the Fir Trees. Originally posted July 5, 2015.